Working in travel healthcare doesn’t necessarily mean you have to leave your four legged family members behind. But before you pack bags for both you and your pet, there’s planning involved. Healthcare staffing leader Aureus Medical has some advice and insight. Communication is key. Traveling with a pet requires special arrangements, so give your recruiter a heads up well in advance. Your recruiter will walk you through pet related considerations and guidelines. Just as each pet is unique, so is housing. Some complexes allow for pets while others may not. Your housing options may also be limited depending on location. Rest assured, your recruiter will work hard to find accommodations that are well suited to you and your furry companion. Keep in mind your pet’s demeanor and need for space. 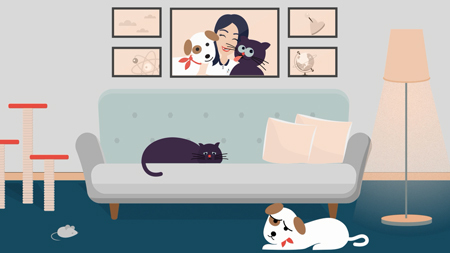 While you’re working, will your pet be okay on its own in a one-bedroom apartment? Consider the environment and your pet’s comfort level. Are you planning to fly to your assignment or drive? Airlines have their own policies on pet travel. There also may be restrictions during certain seasons due to high and low temperatures. Weigh your options and choose the route that’s best for your pet. Bringing your pet along for the journey can make your travel assignment even more rewarding. It just requires some advance legwork.